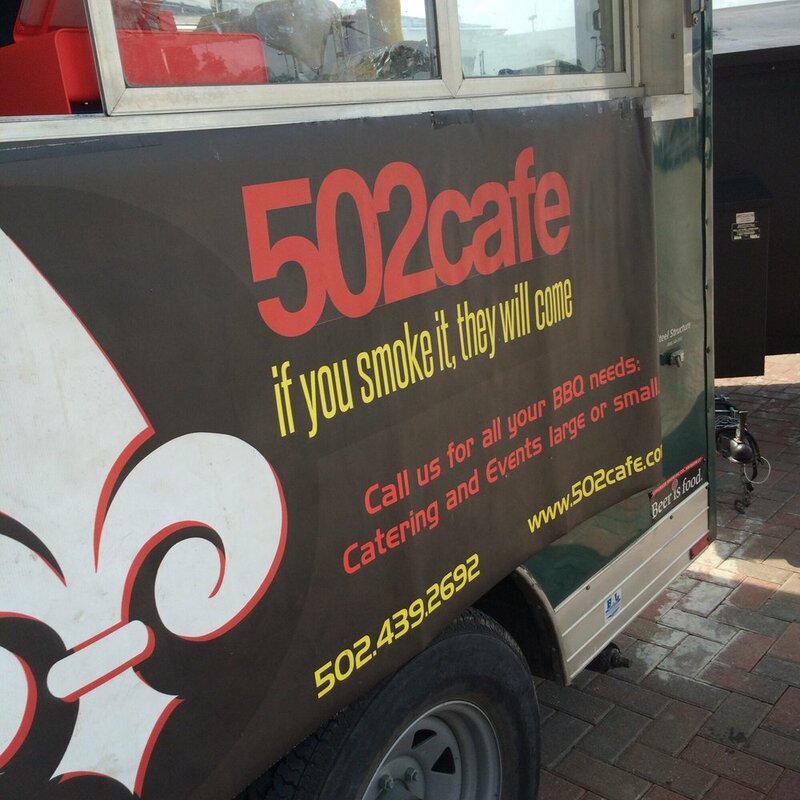 502 Café, which has been operating as a mobile food truck, has found a permanent site in the little strip mall at South Fourth St. and Cardinal Blvd. The space it will move into most recently was occupied by The Drunken Chicken, a new concept developed by J. Gumbo’s, which was in that space previously. Owner Chris Williams will call his new brick and mortar home, whose address will be 1923 S. 4th St., 502 Smokehouse and Sports Bar. There he hopes to expand his barbecue menu into things like a barbecue Hot Brown with fried green tomatoes, and giant cheese-stuffed tater tots, according to a story in the Courier-Journal. The new restaurant will be open until 4 a.m. (it is contiguous to U of L, after all), with 65 seats inside and patio seating out front. Local and craft beers will be on the menu, as well as a full bar. Popular food truck items such as the brisket sandwiches with bourbon bacon jam and hand-ground burgers made half with ground brisket and half seasoned pork are are likely to be on the menu. Since his new spot is on the way to Papa John’s Cardinal Stadium Williams hopes to be a source of nourishment for tailgaters. The Old Louisville area has relatively few BBQ joints, which Williams hopes will work in his favor. With few renovations or refittings needed, Williams hopes to open by late April. He plans to keep operating the food truck, and expand his catering operation.